The Society for East Asian Anthropology (SEAA) sponsored 22 panels at the 113th AAA Annual Meeting in Washington DC. 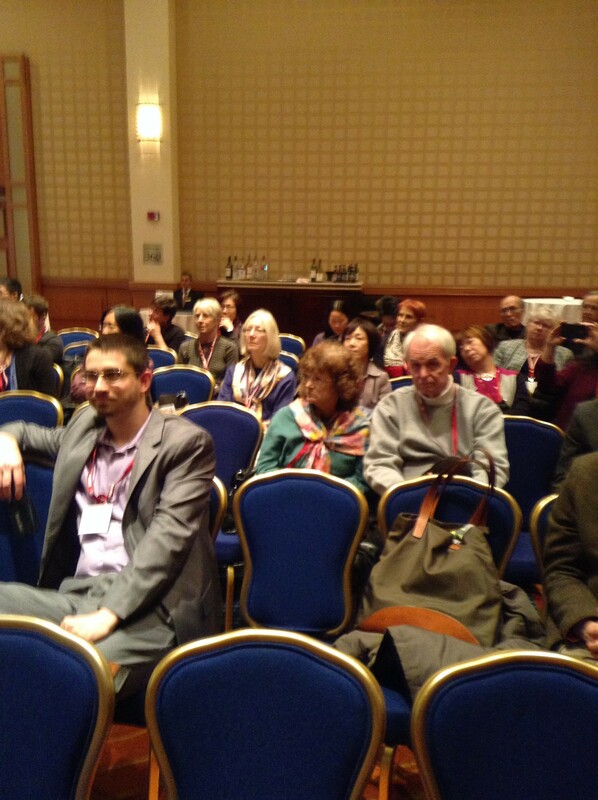 Of these panels, 12 engaged with topics across East Asia, six in China, two in Korea, and two in Japan. Three of the panels were poster sessions. The panels touched on a wide range of pertinent themes, including: cultural production and consumption, gender, identity, mobility, new media, popular culture, psychology, tourism and youth. 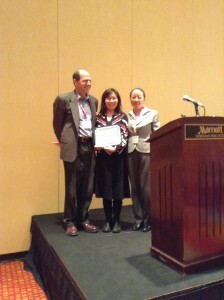 At the business meeting, SEAA President Li Zhang and prize committee members presented the annual awards. 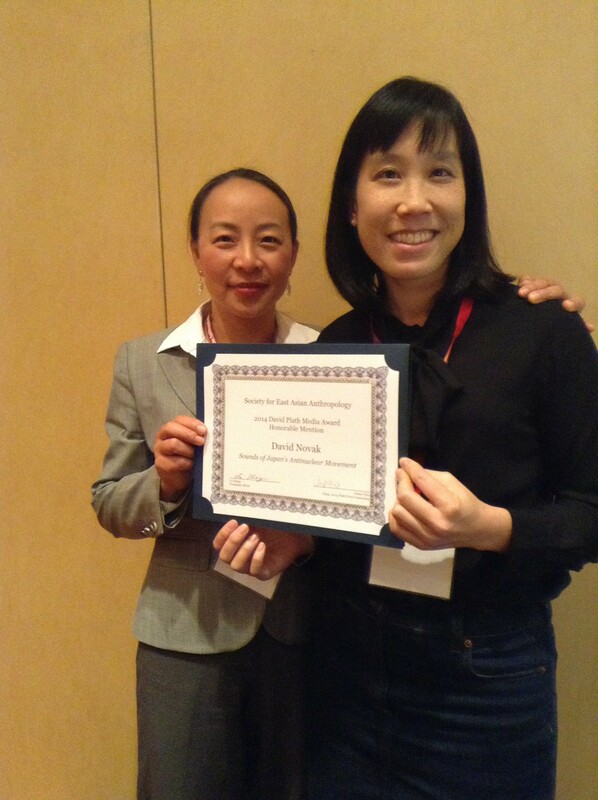 Manduhai Buyandelger (MIT) received the 2014 Francis LK Hsu Book Prize for her book Tragic Spirits: Shamanism, Memory, and Gender in Contemporary Mongolia (University of Chicago Press). She examines the revival of shamanism among the Buryat people in Monogolia against a backdrop of economic impoverishment and regime change, focusing on issues of historical memory, gender, and politics. The 2014 David Plath Media Award recognized the film Playing with Nan, which was directed by Dipesh Karel (U Tokyo) and Asami Saito (Media Help Line, Kathmandu). The film follows the life of Ram, a 28-year old Nepali man, and his family after he migrated to work in Japan. Honorable Mentions were awarded to two works: Rupert Cox (Manchester U) and Angus Carlye (U Arts London) were recognized for Kiatsu: The Sound of the Sky Being Torn (blog), while David Novak (UC Santa Barbara) for the podcast and website Sounds of Japan’s Nuclear Movement. Participants indicated in the post-event survey that the workshop eased their “intellectual” anxieties, developed their skills in academic publication and job seeking, and helped build stronger connections between professors and students. SEAA will continue to organize its mentoring workshop at future AAA meetings. The SEAA column editors, Heidi Lam and Yi Zhou, reiterated their goal of involving more graduate students in SEAA column’s readership and contributors, as well as interaction among scholars at different career stages. To that purpose, they are planning a series of columns centered on a pertinent topic, such as new media, tourism, and professionalization, and will solicit papers from faculty and graduate student SEAA members. Details will be announced at a later date. Please send news items, contributions and comments to SEAA Contributing Editors Heidi K Lam ([email protected]) or Yi Zhou ([email protected]).